According to the Focus magazine, the Department of Adult and Pediatric Urology at the University Hospital Heidelberg ranks among the top German departments specializing in prostate cancer treatment! The department offers the full range of diagnostics and treatment of the urinary system in men and boys. The department has a long history, rich traditions, and is also a recognized center of excellence in the treatment of all urological diseases. The department specializes in the treatment of malignant urological diseases, reconstructive surgery, pediatric urology, treatment of urinary tract dysfunction and kidney stone disease. The department treats about 16,000 patients every year, which is an indisputable confirmation of its impeccable reputation. The department is headed by Prof. Dr. med. Markus Hohenfellner. The department has the cutting-edge infrastructure and state-of-the-art medical equipment. For example, minimally invasive techniques are widely used here during operations on the adrenal glands, kidneys, ureters, bladder, prostate, and urethra. The department's specialists also have the advanced surgical system DaVinci, which is used for the surgical interventions of varying severity, for example, for the radical removal of prostate tumors. The key focus of the department’s clinical activities is the treatment of urological oncopathology. Each clinical case is considered at regular tumor boards, after which doctors from the related disciplines (urologists, radiologists, oncologists, etc.) jointly develop an optimal treatment strategy adapted to the individual needs and wishes of the patient. It is worth noting that due to the active research activities of the department's specialists, it offers unique techniques and drugs, which guarantee positive treatment results. 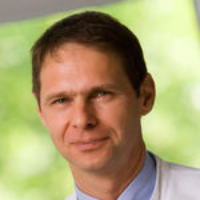 Since October 1, 2003, Prof. Markus Hohenfellner is the Head of the Department of Adult and Pediatric Urology at the University Hospital Heidelberg. He succeeded Prof. Dr. med. Gerd Staehler, who headed the department since 1989. Since 1977 to 1983, the doctor studied human medicine in Innsbruck, at the same time in 1980 and 1981 he underwent training at the Universities of London and Oxford. 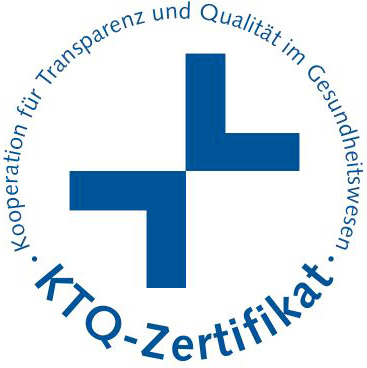 After two and a half years of training in General Surgery and two and a half years devoted to nephrological basic researches at the Institute of Physiology, University of Munich, the doctor began specialized training in Urology in the Department of Urology at the Witten/Herdecke University, Wuppertal (1988). In 1993, Prof. Hohenfellner became a Medical Specialist in Urology, and in 1994 a Medical Specialist in Special Urologic Surgery. In 1990 and 1991, the doctor has a scholarship program in the Department of Urology at the University Hospital San Francisco. His scientific and clinical work became the basis for his doctoral thesis, which he completed in 1994. In the same year, he was appointed as a Senior Physician in the Department of Urology at the University Hospital Wuppertal. Since 1997, the doctor held the position of Senior Consulting Physician in the Department of Urology at the University Hospital Mainz. The main focuses of scientific and clinical activities of Prof. Hohenfellner include urologic oncology and surgical oncology, minimally invasive and reconstructive urology. Under his leadership, the Department of Urology at the University Hospital Heidelberg covers all fields of modern urology, including prevention, early detection, radical cancer surgery, minimally invasive and robotic surgery, diseases of the urinary system, pediatric urology, treatment of urolithiasis and andrology. Prof. Hohenfellner is a member of many national and international professional societies, the author and co-author of numerous scientific publications and book chapters, as well as the publisher of two scientific books on urology. He has scientific awards from various national and international urological societies, for example, the Best Thesis Award from the European Society of Urology and the Maximilian-Nitze Prize, the most prestigious award of the German Society of Urology.